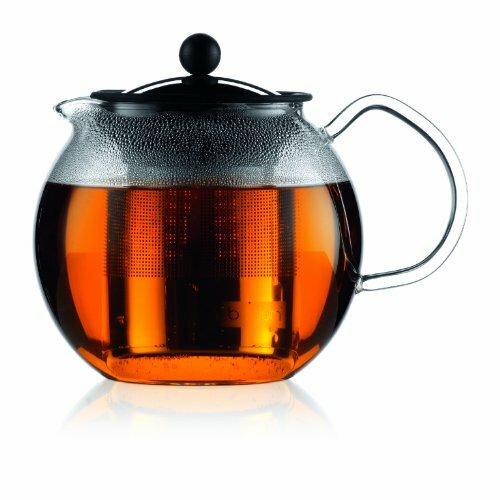 The Chambord Classic Teapot is a loose-leaf tea lover's favourite brewing method – and the copper finish on the stainless steel frame looks beautiful from kitchen to tabletop. 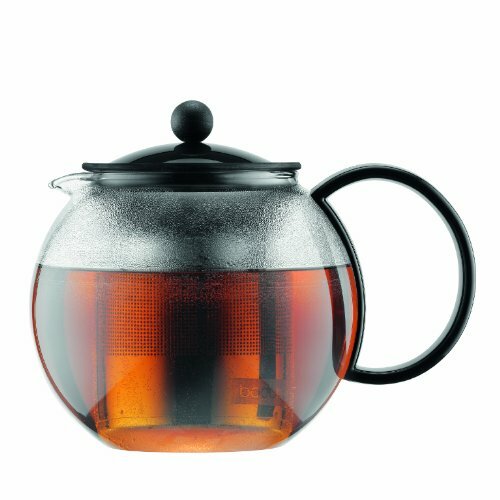 Quick and easy to use: add loose-leaf tea into filter, add hot water and stir, steep tea, remove infuser when desired strength is reached, serve and enjoy. Copper finish looks beautiful from kitchen to tabletop – perfect for holiday entertaining. Heat-resistant polypropylene handle provides a cool, comfortable grip. Use your favourite black, green, white or herbal tea. Removable infuser stops the brewing process. Handwash only. Stainless steel frame and lid feature a durable, polished surface. Borosilicate glass, polypropylene and stainless steel construction. 44 ounce capacity. 8 inches long, 5 3/4 inches wide, 6 1/4 inches high. Made in Portugal. 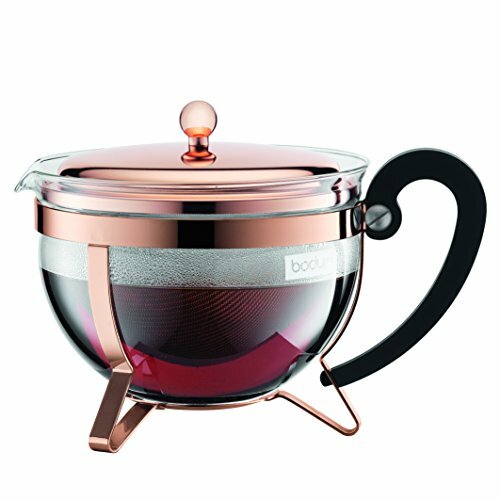 The CAFFETTIERA coffee maker incorporates the BODUM motto beautifully, good design doesn't have to be expensive. After all, we want to give everybody a chance to brew an excellent cup of coffee in a green way; just hot water and ground coffee is all that's needed. This new 4 cup (0.5 l, 17 oz.) 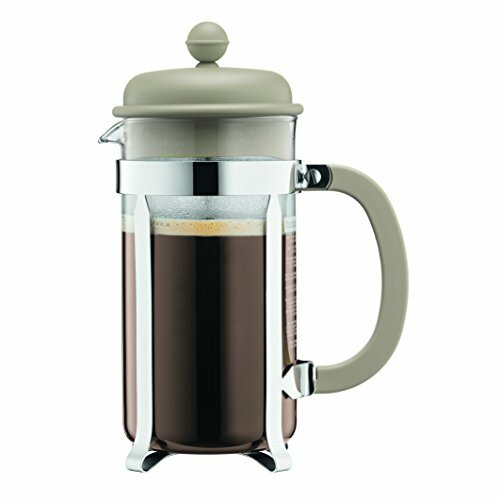 French press coffeemaker is a beautiful extension of our classic Bodum COLUMBIA line. It combines stunning elegance of form with the best materials for perfect function. 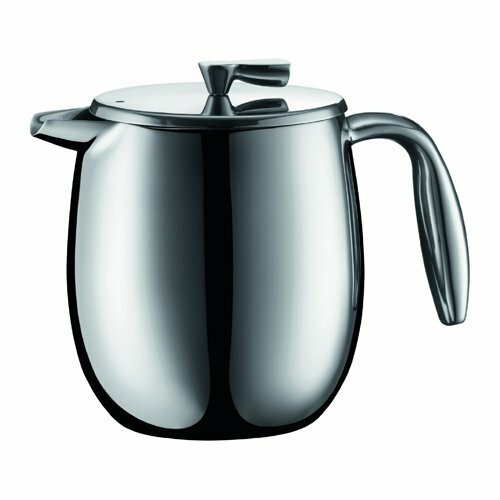 The double-wall of stainless steel adds thermal properties to keep your coffee or tea hot for a longer period of time! 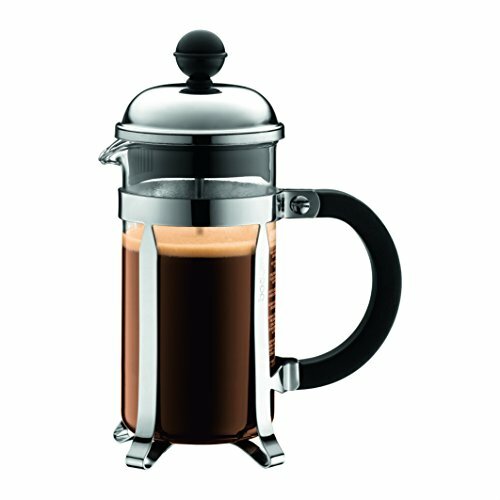 This French press is polished to a mirror-finish, has a large comfortable handle, and is dishwasher-safe. 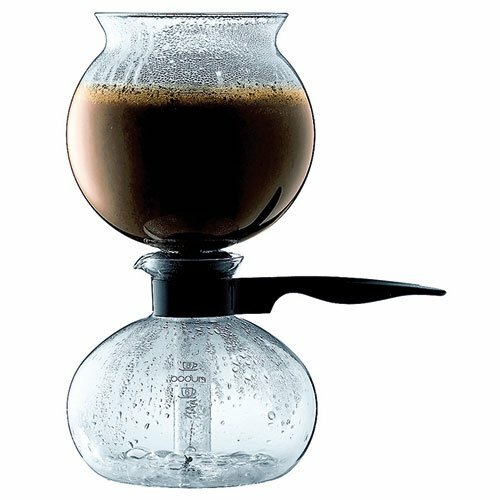 The 3-part stainless steel plunger has a fine mesh filter, which allows for a premium extraction of your coffee’s aromatic oils and subtle flavors. A mesh filter allows this flavor to be delivered direct to your cup and not absorbed by a paper filter. Plus, no paper filter means no waste! 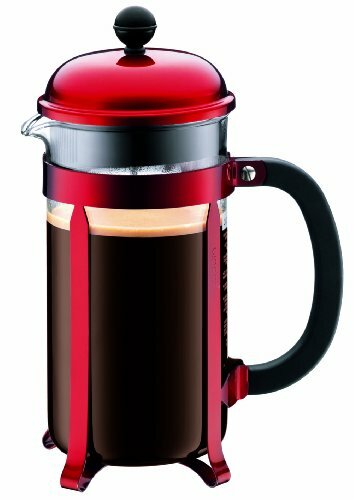 The patented safety lid prevents the splashing of liquids while pressing. All parts are dishwasher safe. 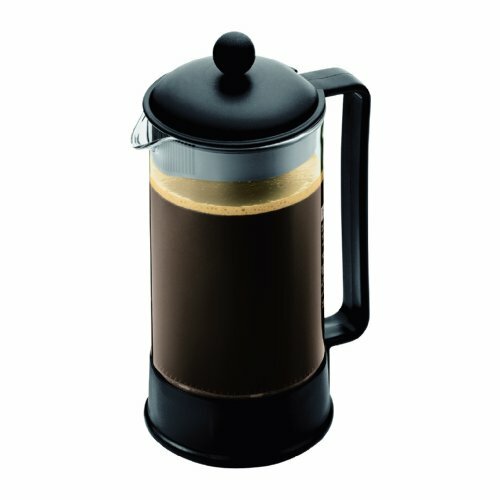 Available in 12 cup (1.5 l, 51 oz.) and 8 cup (1.0 l, 34 oz.) size models.